After reading Margaret Mead’s quote, American anthropologist, on thehipperelement.com I realized that it was the most accurate summary of how my last company themobilecards.com failed. 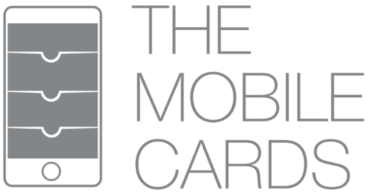 The Mobile Cards was a company that helped restaurants and retailers get into consumer mobile phones without developing any apps using Apple and Google mobile wallet technology. When I had the idea to create this software solution I was fortunate to find a partner, investor, and eventually, a friend very quickly. He was excited about my idea and we decided to move forward. Both of us knew very well that when you start a new company you need to go to potential customers first before investing a dime, knowing that what you think your customers need and what their real needs are may vary, a lot. We went to a couple local restaurant chains to validate our concept, which proved to be a huge success. They loved the solution and most said, “We wish you had this software, so we could buy it now”. The next six months we spent hunting for the right CTO to build it. We finally found him and were ready to jump into the discovery phase, when our investor came back to us with disappointing news: we wouldn’t receive his investment for another six months. We didn’t expect this. We couldn’t wait that long. We had real customers who wanted to buy our solution now. Without enough capital to build our own product, we were left with only one option: we needed to license a similar product and resell it. We brought our licensed software to our interested customers and to our disappointment, no one was interested. Not a single one. Half of them stopped returning our calls and emails. We suddenly had no customer base. The experience as a whole was incredibly disappointing. It’s always difficult when everything you’ve built fails. But in the end, I’m glad we didn’t waste our investor’s money. And, it was another lesson learned that “What people say, what people do, and what people say they do are entirely different things.” Remember to trust action more than words.